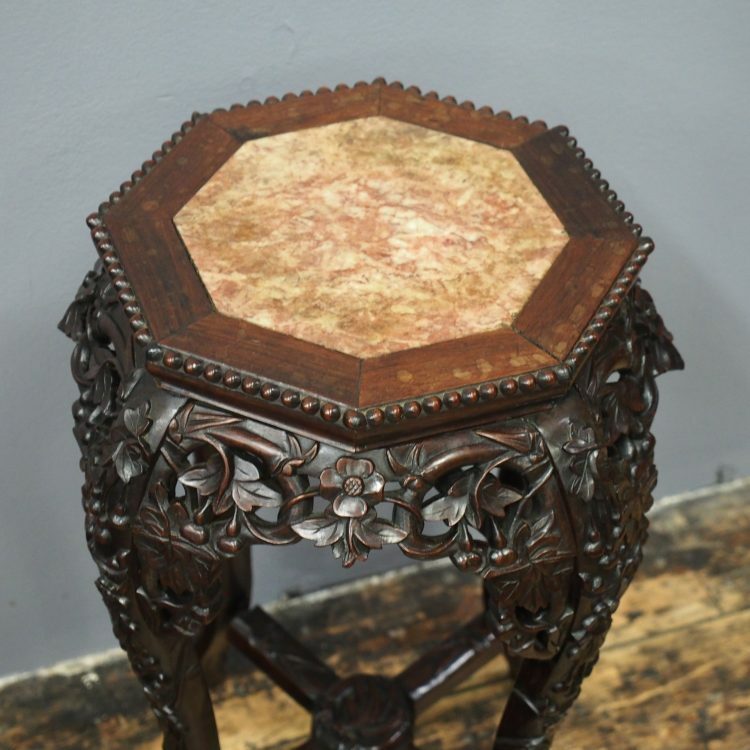 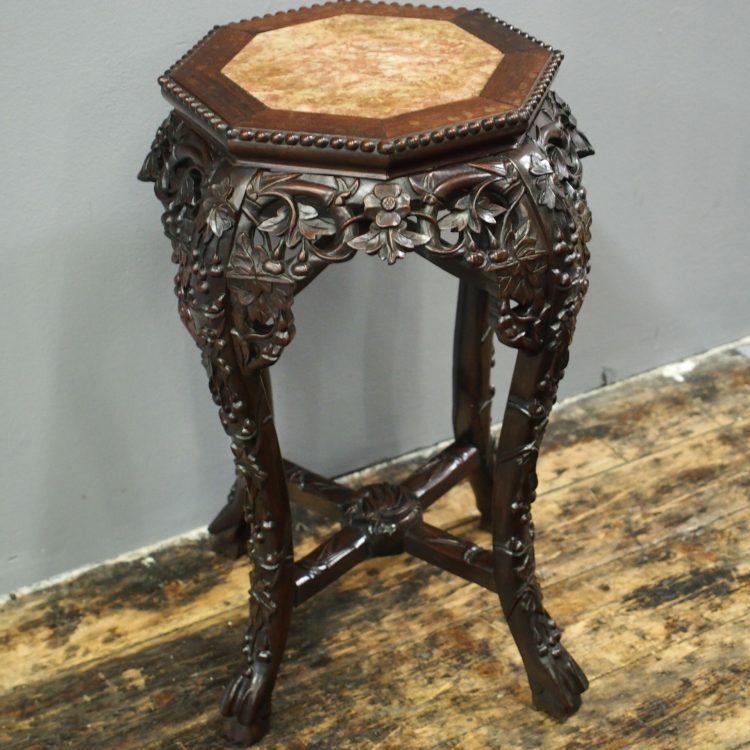 Circa 1890, Huanghuali Ming dynasty, octagonal shaped marble top plant stand. 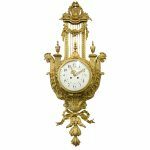 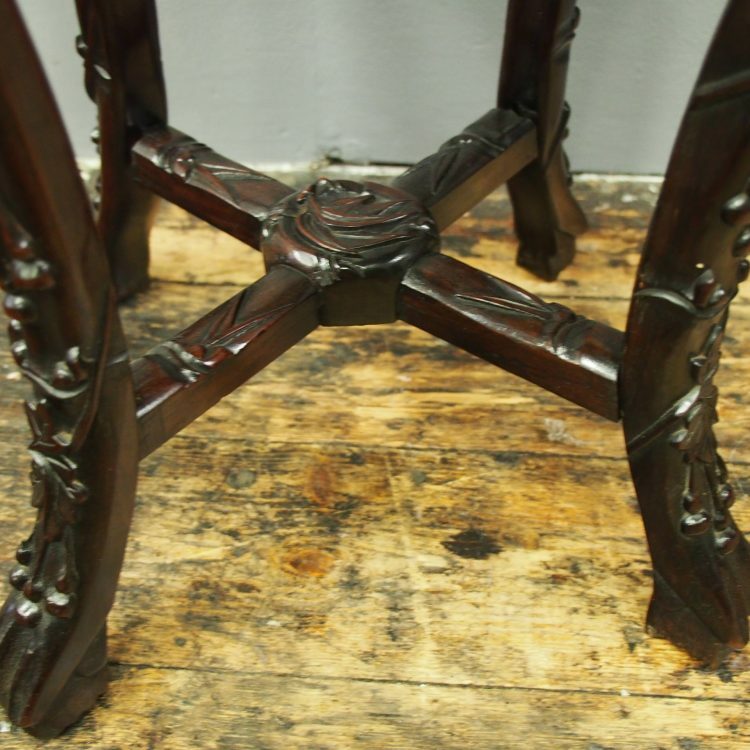 The pink variegated marble has a beaded fore-edge and beneath is a flared apron with cherry blossom and faux bamboo carving, which continues to the legs. 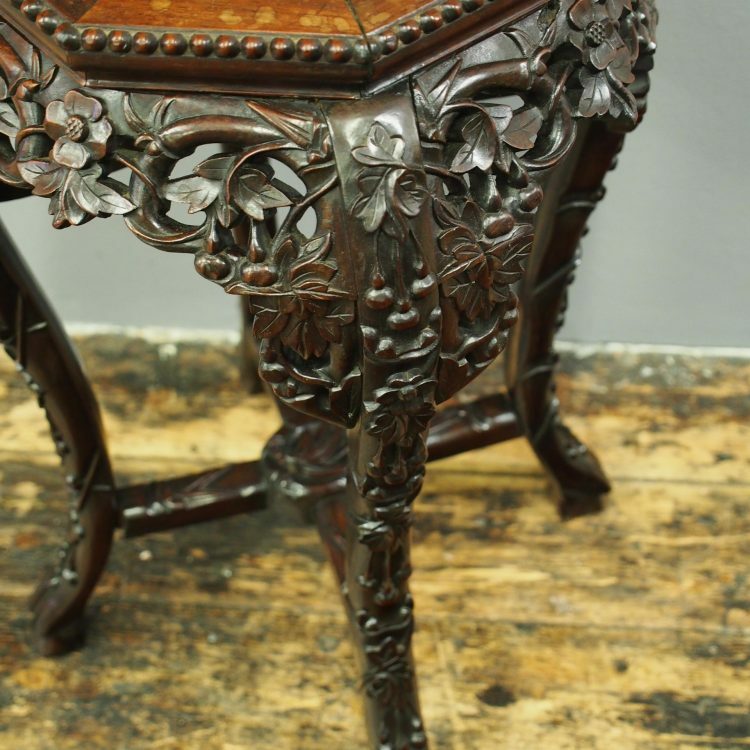 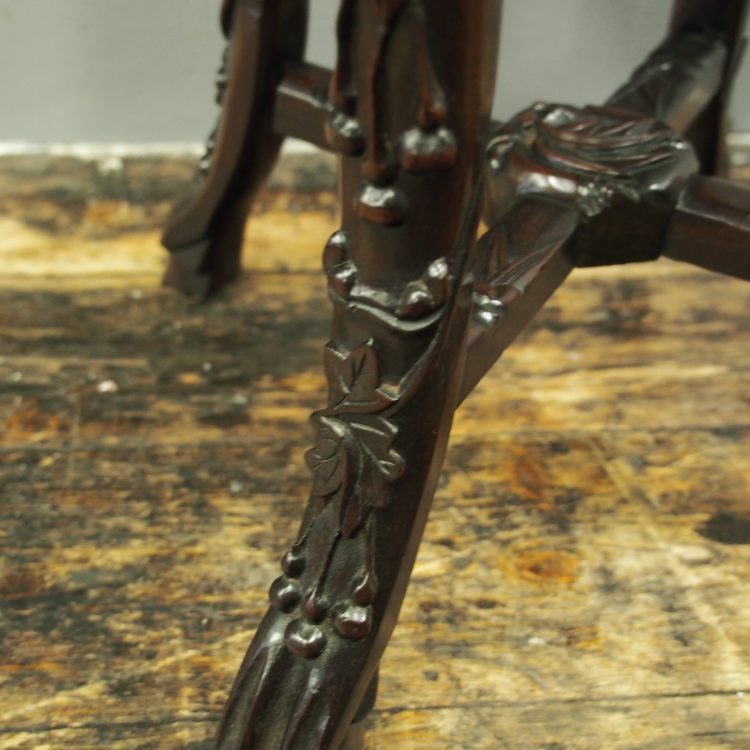 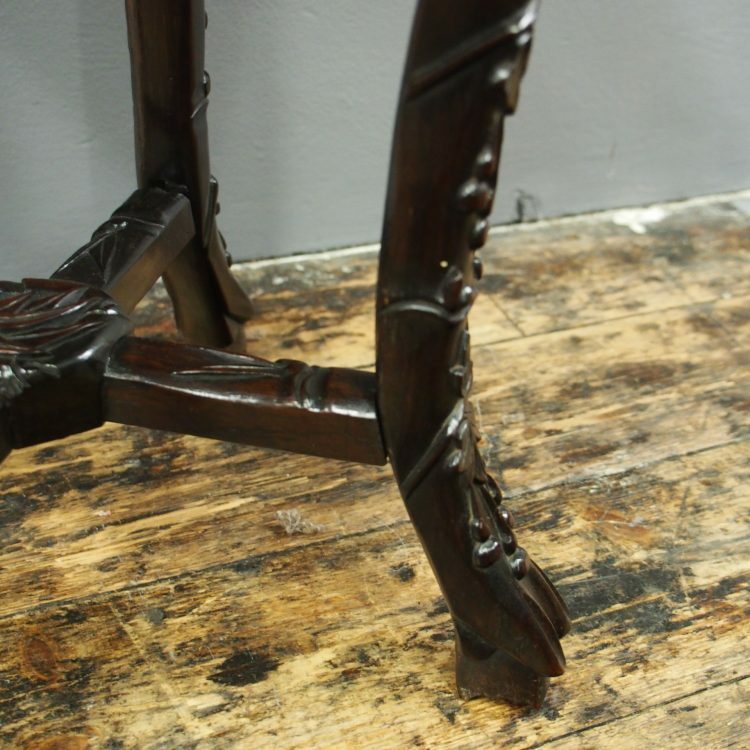 There is a faux bamboo cruciform stretcher to the base, finishing on animalistic feet.